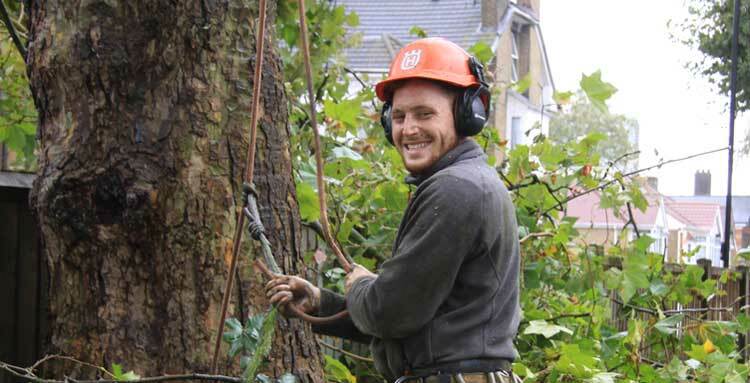 If you're looking for any tree services in London, Essex or the South East look no further - at Keith Archers Tree Care Specialists, we offer a comprehensive range of tree services tailored for your specific needs and requirements, including pruning, felling, site clearance, stump grinding and woodland management. Tree pruning is highly skilled work that should, in most cases only be undertaken by experienced, trained professionals. Tree pruning often involves the use of heavy duty saws, chainsaws, climbing apparatus and cherry pickers. Never compromise your personal safety by trying to prune a tree yourself if any of these items are required. Why do trees need pruning? In general autumn or winter is the best time, with the exception of removing dead branches, which should be removed promptly. Pruning during the autumn / winter period reduces sap loss and the risk of fungus infection or insect infestation. Additionally for deciduous trees, pruning when the leaves are off enables us to see with more accuracy how the pruning will affect the shape of the tree. How much should be removed? In general as little as possible is the best rule of thumb. Pruning can place stress on a tree and increase vulnerability to disease. Pruning should not remove more than 25% of the crown and branches should compose at least two thirds of the height of the tree. There are occasions when more than desirable needs to be removed such as if the tree suffers storm damage, or if height reductions dictate. When a tree is felled the stump should also be removed to prevent the growth of suckers and fungal problems. Suckers can appear from the root systems of many trees and shrubs, specifically poplars, cherries, plums, lilacs and acacias amongst others. A stump that is completely dead will not form suckers, but can still be vulnerable to fungus infections, so it’s best to remove the stump. The most economical time is when it is being felled. At Keith Archers Tree Care Specialists our stump grinders mechanically grind out the main root, leaving only minor roots that will eventually rot down. The future use of the area where the stump has been removed from can dictate the depth the stump needs to be ground to. For example, if you’re going to be laying turf a shallower depth can be sufficient, but if landscaping or re-planting is going to take place then a deeper grind may be required. Please call us for professional advice and a free quotation. We clear trees and carry out vegetation management in addition to total site and scrub clearance. Our highly experienced team use the specialist machinery such as mulchers, flails and shredders to complete the project safety and efficiency. Having undertaken numerous commercial site clearances throughout London and the south East, our site clearance services are used by local authorities, property developers, builders, utility companies, construction companies and architects amongst others looking to redevelop a site, re-route roads or reclaim brownfield sites. As professional tree surgeons, we undertake tree surveys before clearing the site and can advise on trees to be retained, for example, that can add amenity value to a proposed building plot. Most planning departments require a professional tree report as part of the application to redevelop a site. We can advise on how to protect remaining trees that from part of a redevelopment site and supervise clearance projects.